Domestic violence battery is defined in Florida as the actual and intentional striking or touching of another person without their consent, or intentionally causing bodily harm to another person. The person that was struck must be a household or family member. Being convicted of a domestic violence battery charge can have lifelong consequences for everyone involved. 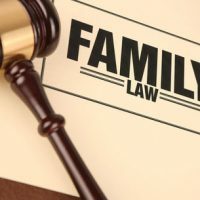 There is a risk of the convicted person losing their job, or custody of their children, especially if there is a pending divorce. While many allegations of abuse are legitimate, there are unfortunate incidents where an ex-partner makes a false allegation during a verbal argument or because of an ongoing custody battle. In those instances, retaining a skilled attorney is crucial to help challenge the alleged evidence and prepare a strong defense for the accused. With the exception of parties who have a child in common, the other applicable parties must currently reside or have previously resided together in the same dwelling unit. More than likely, you’ve never heard of the Stand Your Ground law. Enacted in 2005, it’s covered in Florida Statutes Sections 776.012 and 776.013. Essentially, it expands self-defense claims by getting rid of the general “duty of retreat” found in common law, presuming there is legal justification for the use of force in a person’s vehicle or residence, and it offers immunity from prosecution for people who use force as defined within the parameters of the statute. In regard to the use of deadly force, there is no duty to retreat if the person believes such force is required to prevent imminent great bodily harm or death to either them or someone else, or to prevent the immediate commission of a felony, and the person is acting within the confines of Section 776.013. If you have been wrongly accused of domestic violence, you need to speak to a skilled Florida family law attorney in addition to having a criminal attorney prepare your defense for any potential criminal court proceedings. If you have children or a current custody case in the courts, it’s imperative to protect yourself. Please contact the Law Offices of Schwartz | White at 561-391-9943 or use our online chat feature to schedule an appointment with one of our experienced family law attorneys.